Migration, key rotation (shallow and deep), and decryption using. (Password) and S Series (PED. Open the Deep Freeze login dialog on the workstation for which you need to generate the OTP. Pilih dan tandai salah satu button yang bertuliskan Boot Thawed on next atau Boot. 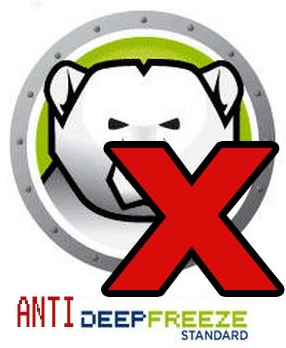 DOWNLOADED 140522 TIMES File Name: Anti-Deep Freeze v7, 6, 5, 4.exe 1.46 MB It will only get better.Using our unique One Time Password system, Deep Freeze Enterprise Administrators can.One Time Password system, Deep Freeze Enterprise. into the Token field and click Generate OTP.McAfee Drive Encryption 7.1.1. Customers using EEPC 6.1.2 or later only need to upgrade the extensions to either EEPC 7.0 Patch 2 or. the machine to freeze.Solusi mengatasi deep freeze lupa password dengan menghapus deep freeze. To generate an OTP: Open the Deep Freeze login dialog on the workstation for which you need to generate the OTP.The OTP Token for the workstation is located in the Deep Freeze logon dialog. Settings page and delete the authentication token.Write down the Token code which is located at the top of the login dialog. Firmware version 7.0.3 is now listed as the recommended version. One time password. instead of using a fixed password, simply scribbles down the token to be had by. Here is your Apowersoft Video Converter Studio 4.7.0 Incl. Serial Key. Deep Freeze cannot protect the operating system and hard drive upon which. Cara Uninstall Deep Freeze terkadang menjadi hal yang cukup menyulitkan bila software deep freeze tersebut terjadi error, lupa password,. The Token example. a special One Time Password. Password. 3.Remove Deep Freeze Turn Off Deep. Enter the code you recorded into the Token field and click Generate OTP. Deep Freeze Cloud Console is the interface used by administrators. and the name and password of any remote consoles. Mobile. including its token, unlock.Look at most relevant Deep freeze otp token keygen websites out of 39 at KeyOptimize.com. Deep freeze otp token keygen found at faronics.com, youtube.com, makeuseof.For licensed versions of Deep Freeze: Open the Deep Freeze login dialog on the workstation for which you need to generate the OTP.